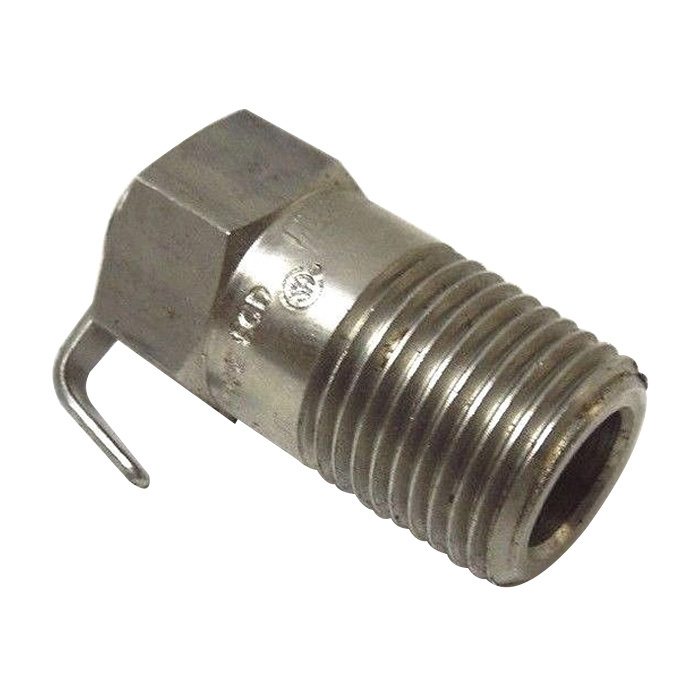 Crouse-Hinds Standard drain of 1/2-Inch trade size, provides threaded connection for easy fitting. This explosionproof and dust-ignitionproof drain has stainless steel construction for strength and durability. The drain is ideal to install in the bottom of enclosures or in the lower section of conduit system to provide proper ventilation to minimize condensation and drain accumulated condensate. It easily passes 25 Cubic-cm of water per minute and 0.05-Cubic-ft of air per minute at atmospheric pressure. The drain is suitable for use in hazardous location fittings. The drain meets UL 1203, CSA C22.2 No. 30, type 4X ECD-N4D and ECD-N4B, ATEX ITS07ATEX15639U, Class I, Division 1 and 2, Groups C, D, Class II, Division 1, Groups E, F, G, Class II, Division 2, Groups F, G and Class III standards.